Buy this Limited edition merch from Teen Wolf’s Holland Roden! Proceeds go to Children Mending Hearts, funding arts programs in Los Angeles schools! Baseball, V-Neck, sweatshirts & tank styles available in drop-down! "Be an example and show that Empathy Rocks!!" Join Holland Roden from Teen Wolf and Children Mending Hearts in their mission to instill empathy in young people. Holland and Children Mending Hearts believe that all children should have the same opportunity to adapt, thrive and succeed in an ever-changing global environment. 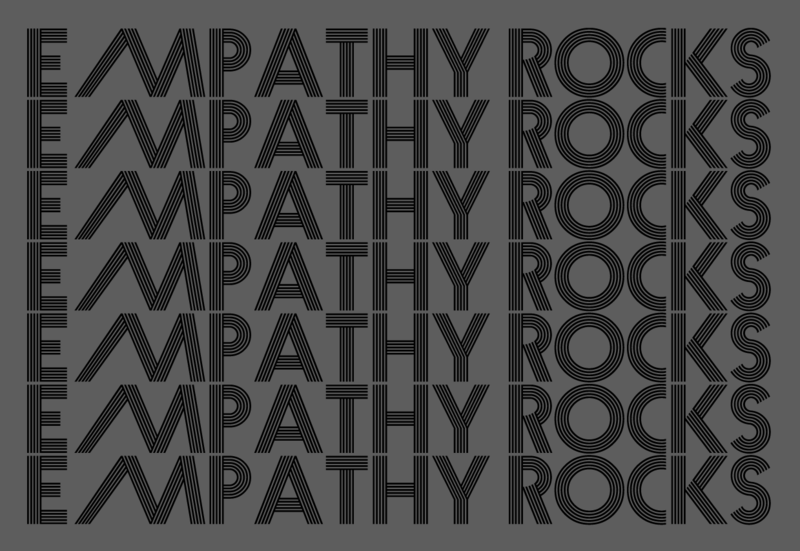 Be an example and show that Empathy Rocks! Your purchase goes towards funding arts programs in Los Angeles schools.